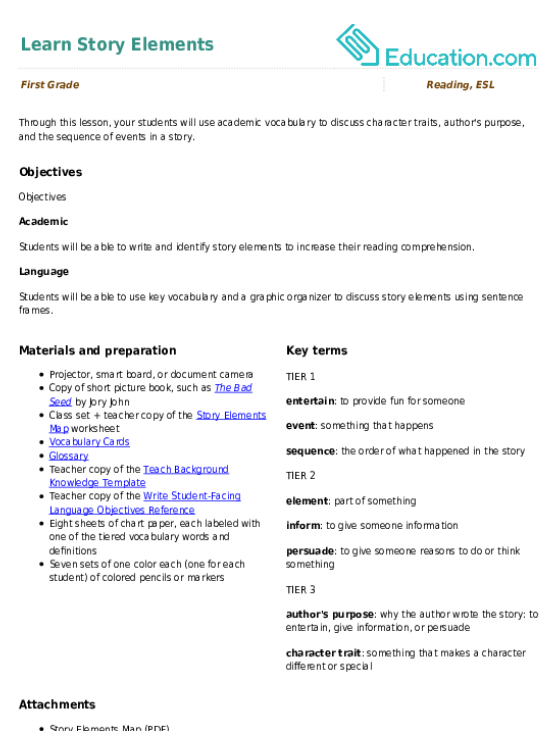 This lesson can be used as a pre-lesson for the Craft Stick Story ElementsLesson plan. Students will be able to write and identify story elements to increase their reading comprehension. Students will be able to use key vocabulary and a graphic organizer to discuss story elements using sentence frames. Explain that today we will be learning the elements of stories. Define ElementAs a part of something. Have students turn and talk to a partner about elements of stories. Explain that before we begin, we will need to learn new vocabulary. Present the rest of the tiered vocabulary found in the next section. Use the vocabulary cards as you define each word and allow students to discuss how the visual relates to the new word. As you introduce each word, use the word in a sentence relating to books you have previously read aloud to the class. Tape the chart paper with tiered vocabulary words/phrases around the room. Assign each of the seven groups of students a colour of colored pencil/marker and a word to start with. Tell students to write the definition, a sentence, or draw a picture related to the word. After one minute, instruct students to move with their group to a new word to their left. Repeat so students can contribute to 4–5 different words. 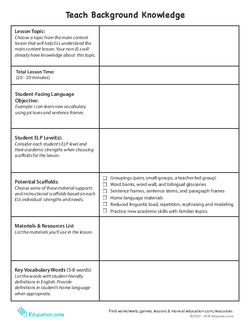 Review the contributions of each group to the vocabulary word charts. Allow students to write their own sentences with the new vocabulary words. For example: "I wear my best clothes to special events." Ask student volunteers to come up to the projector/smart board and circle the vocabulary words in their sentences. Then have them share their sentences aloud. Project the book, The Bad Seed(or another short picture book of your choice). Ask students to follow along with their fingers as you read the story aloud. 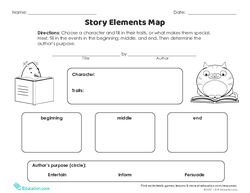 Distribute the Story Elements Map worksheet to students. Project your copy. Present each section of the story map, reviewing new vocabulary. What is the first important event in the in the story? Explain that their answers may be a little different from one another's. Project written sentence frames for student reference during partner discussion. For example: "First the seed ____. Then, ____." After partner discussion, have students complete the story map. Encourage students to complete a story element map for a book previously read aloud in class. Circulate the room during partner work time, informally assessing reading comprehension, listening, and speaking. 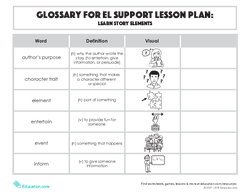 Collect the Story Elements Map worksheets to review for comprehension, content, and mechanics. 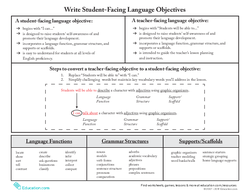 Student comprehension and writing abilities should be noted for future small group work. 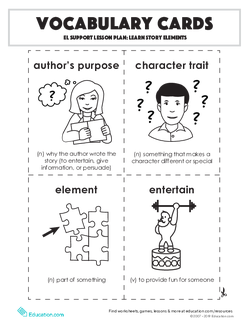 Review the components of the story in the Story Elements Map worksheet as a class. Ask your students: "How do you feel about identifying story elements?" Have students hold up one finger if they are still unsure of how to compare and contrast stories, two fingers if they feel they are beginning to understand, and five fingers if they feel very comfortable and can demonstrate their understanding.